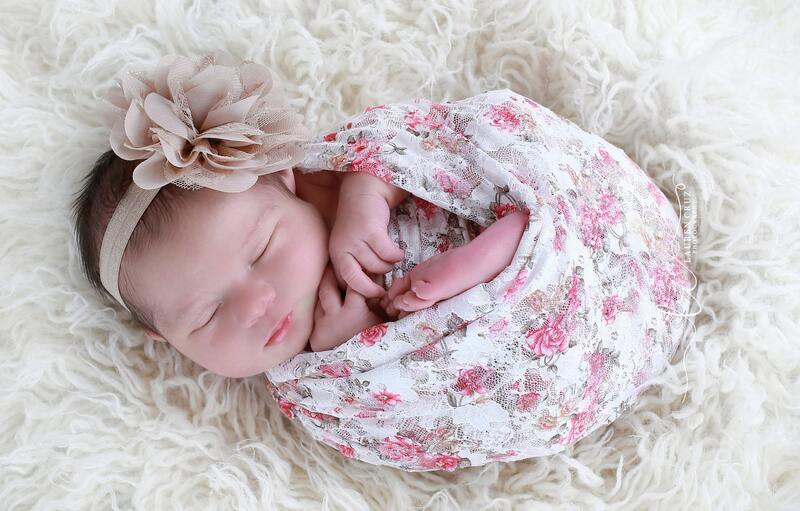 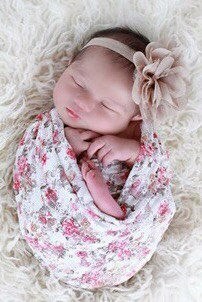 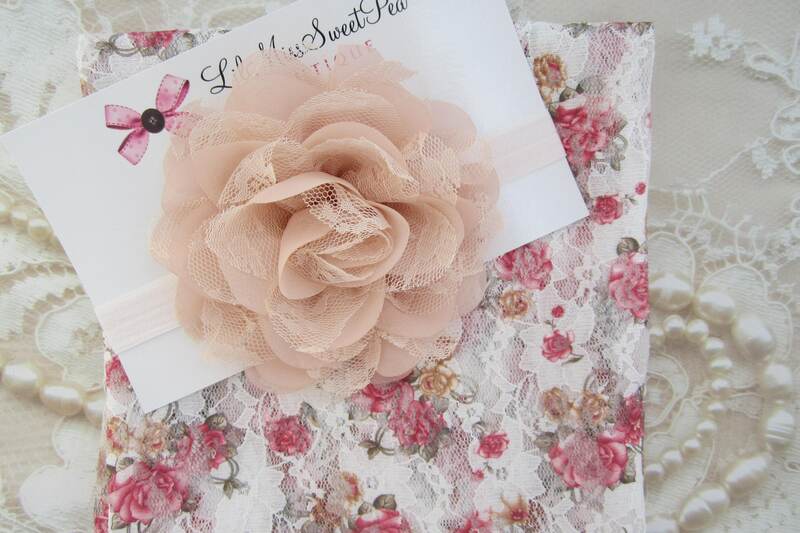 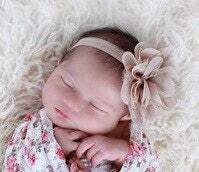 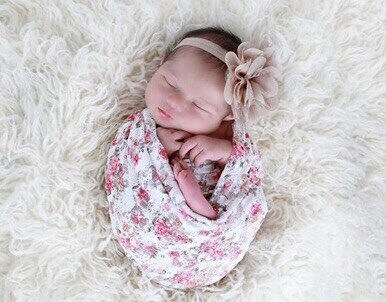 White Printed Floral Stretch Lace Swaddle Wrap AND/OR 4” Chiffon and Lace Headband, newborn photo shoots, Lil Miss Sweet Pea. 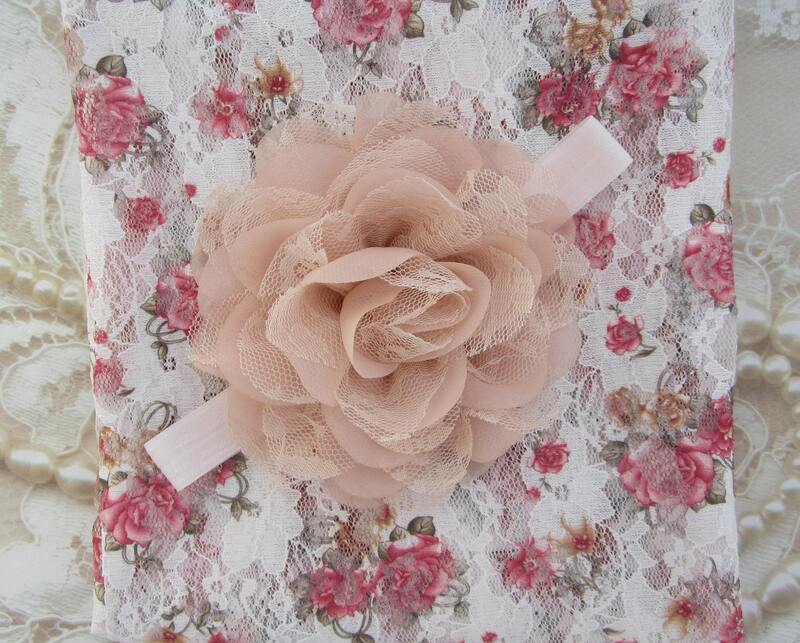 Flowers on wrap are shades of pink and tan. 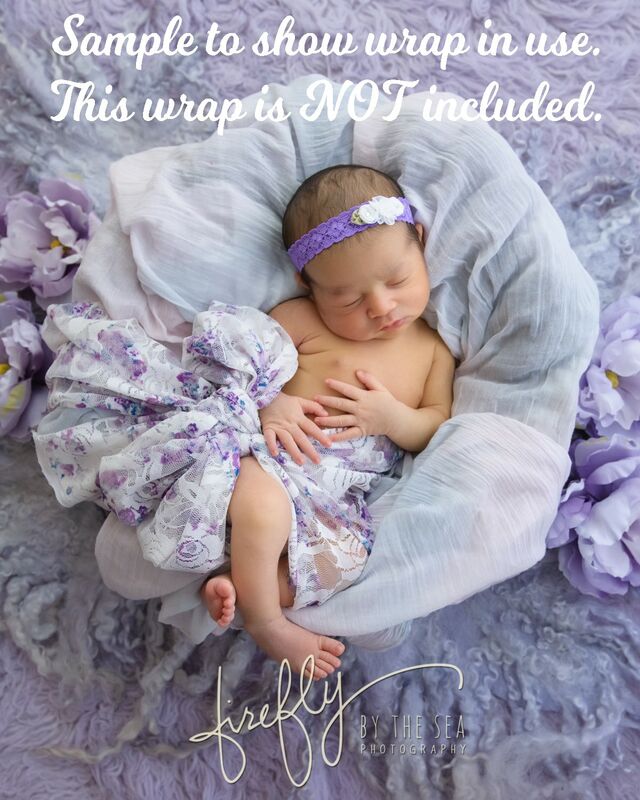 Photographers add filters on the photos so please use the product photo to determine the color of the wrap and headband without filters. 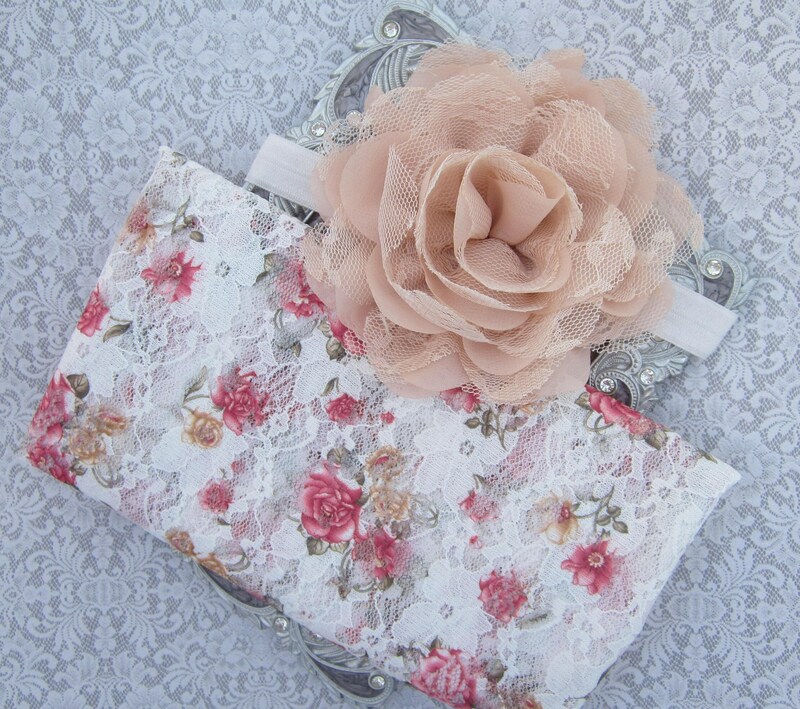 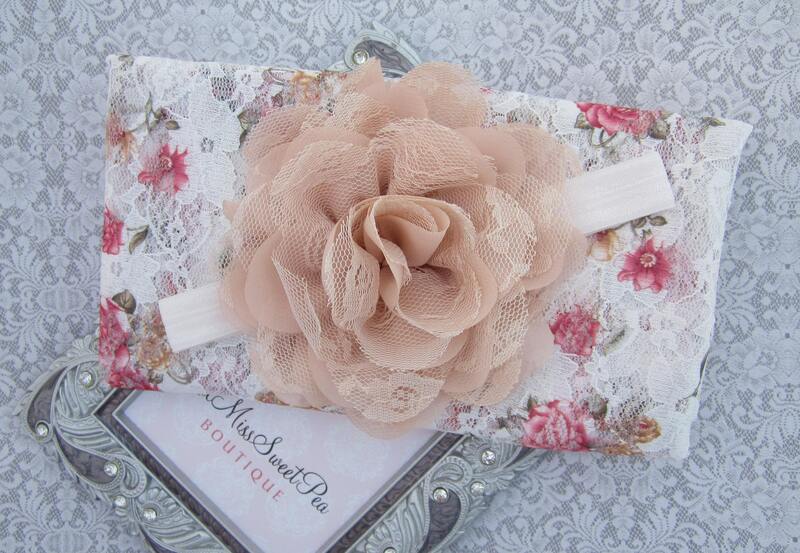 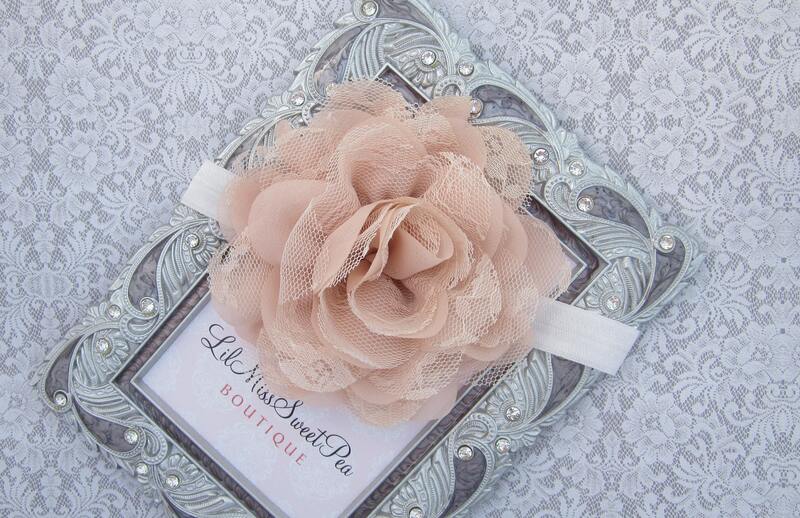 Beautiful item - fast shipping.